We’d love your help. Let us know what’s wrong with this preview of Consumed by Casey Odell. With only a clue on where to go, the journey ahead will push Claire to her limits. Can a simple barmaid really save the world? She’s about to find Claire’s time is limited. The mark is consuming her. Magic needs to be restored, but will it be worth the cost? 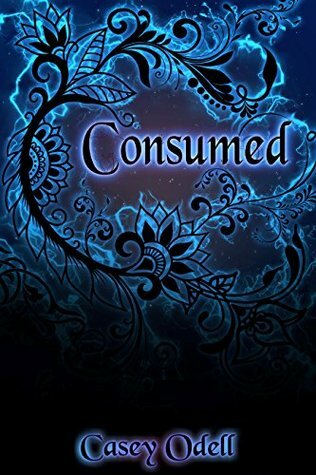 To ask other readers questions about Consumed, please sign up. The heroine’s emotional dithering, while understandable, took away some of my enjoyment of the adventure itself. My mood may have affected my perception of this authority work, as I did not connect emotionally with any of the characters. The world building was sufficiently compelling in the first volume (free) that I invested in the remaining books two, three and four, despite my pique at the main character’s inner turmoil. I waited so long for this book, I was ready to scream when I got near to the end. No way did she go through all that to be betrayed yet again, and she had no hope of surviving, poor Farron when he found the letter. I was glad he found it before the cave and they could talk. I don't think I can find anything out of place in this page turning adventure series. Casey Odell has given us - Monsters - all kinds ; nightmares, green eyed jealousy, invasions, Egos and so much more. Four Stars+ ABSOLUTELY a must read, if you are into fantasy adventure. Mmmmmmmmmm... I definetly needed that very satisfying ending. Loved this book! Such an awesome conclusion to the series! Got me all teary eyed at the end but so worth it! Loved all the books, fun page Turner. Good characters. Will read this author again! It had a great ending also. Suspenseful, action packed and fast paced. The ending was predictable but in a good way. Glad book 4 was finally released. This is by far my favourite series. It was a great ending, my only disappointment is their story has come to an end. This is another great series. I am sad to see it done but it was a great journey. Love Fare and Claire. Totally would re-read this series again.